Join Dell Canada for a morning seminar dealing with data centre transformation followed by BBQ lunch in the great outdoors! Data centres are quickly becoming the epicentre of leading organizations – housing a wealth of information pivotal to fostering organizational growth and innovation. Learn how to access that wealth through a software driven transformation of your data centre. Gain insights into the different recipes for storing, retrieving, and analyzing the right data. 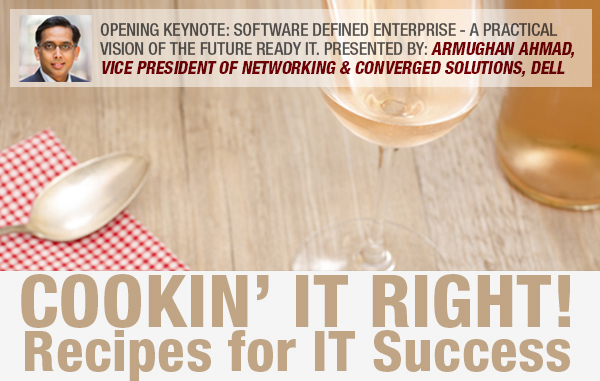 Following the morning session, participants will enjoy a delectable meal and wine pairing prepared by renowned grilling expert and Food Network Star, Chef Rob Rainford, complete with a “grilling demo”. Join the fun. Network and exchange ideas all while learning how to take your data centre to the next level. Your prompt reply is appreciated as space is limited. As a thank you for attending, each guest will each receive an autographed copy of Chef Rainford’s ‘Born to Grill’ book.